I spent a lot of time working out. What I don’t spend a lot of (any?) time doing is shopping for workout clothes. I have two pairs of workout shorts, both of which I’ve owned for over 10 years. And I rotate through the same handful of gym shirts, all beat up old t-shirts I’ve gotten for free at some point. 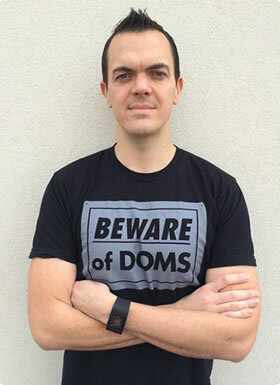 (This is all except for the one proper workout shirt I have, a gift from my lovely older sister after reading one of my earlier gripes on this blog). 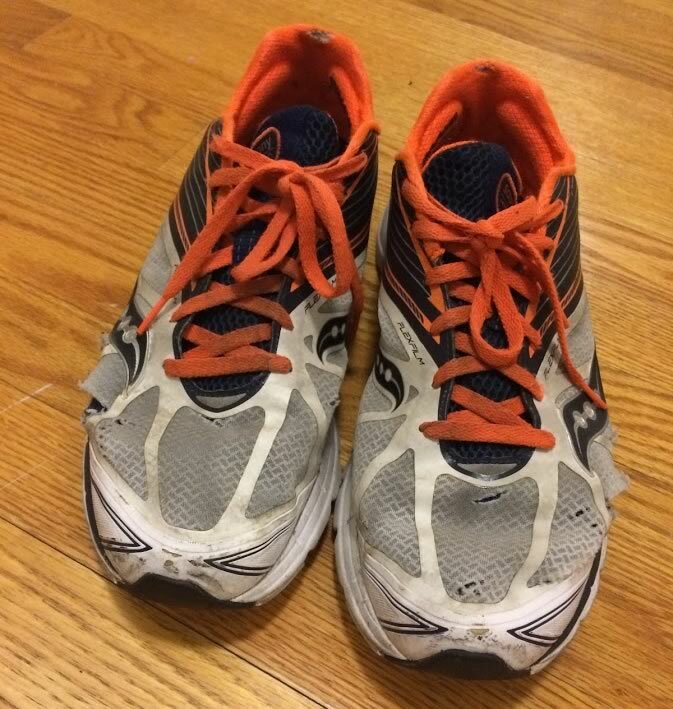 But perhaps nothing is sorry than the sneakers I have worked out in for the last two years. After a workout session with a trainer, he pointed out I had wide feet and that the Nike Free sneakers I was wearing weren’t a good choice. So I ordered a pair of wide-width Saucony Kinvaras. The difference was immediately apparent, and were much more comfortable. I wore them religiously each time I worked out, 5 times a week, every week, for two years. A few months back I went back to Zappos to get a new pair, only to find out this particular sneaker is now discontinued. So I continued to wear my old pair. Two years of punishment takes its toll. Things got pretty bad. They started to tear in multiple places. My wife referred to them as my “hobo shoes.” So I finally broke down and decided to get new sneakers. Where My New Kicks At? I needed to find a new pair of wide width sneakers. When you look for sneakers on Zappos you will find 7884 items under “Men Sneakers & Athletic Shoes.” If you click E for Width, it drops to 208 items. Under the “Performance” filter, you can then click Crosstraining and Running, which results in…2 pairs of sneakers. 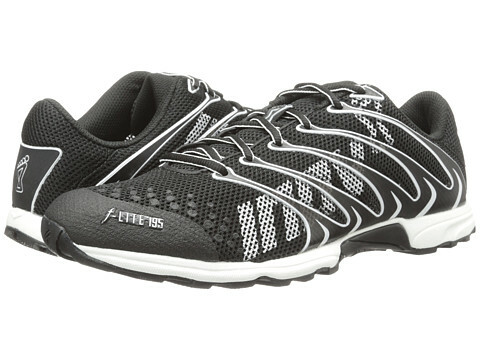 There is literally one pair of Crosstraining sneakers: inov-8 F-Lite 195. I had never even heard of this brand, so I did some research online. It turns out the F-Lite 195 is designed specifically for performance training, and for that reason, are popular in the Crossfit community. So I decided to give them a try. Three weeks into wearing them, I’m happy to report they’re great. They look sharp, and are perfect for working out. Of course, I’m probably wear these until they fall apart, at which point they’ll have been discontinued, and I’ll have to start all over. Maybe I should just embrace this behavior, buy like 5 pairs, and be set for the next decade. (It occurred to me after writing this that it sounds like a commercial. I, unfortunately, have no financial interest here, and am just sharing my happiness about these new sneakers). It’s hard to top the success of The Rock. The highest grossing International Box Office Star of 2015 (and 2013, but who’s counting), it’s impossible to escape the pearly white smile of Dwayne Johnson. From summer blockbusters to hosting award shows to near daily Instagram updates to his 50 million+ followers, he has quite a few fans out there. Of course, I’m one of them. People like The Rock for different reasons. Some find motivation in the hard work and discipline he brings to both his physical training and career. Others are inspired by how candid and open he has been about his past, reflecting on his struggles early on, a tough family life, and his battle with depression. And yet some just find him entertaining, from his classic insults during his rise through the WWE to his onscreen performances in big budget Hollywood films. But there is one area he has yet to conquer. Until now. At the same time I started The Rock Challenge, I became enthralled with the Amazon Alexa Skills platform. So as I learned more about developing Skills and the platform as a whole, it was only natural for the two to come together. And the RockBot was born. RockBot brings insults from @therock to Amazon Alexa. RockBot brings motivational quotes, moments of reflection, and classic insults and taunts from The Rock to the Amazon Echo, all delivered in the soothing, pleasant voice of Alexa. Want to bring The Rock to your Amazon Echo? Just visit this page, and click the blue “Enable” button. Then ask “The Rock” for an insult, motivation, or reflection. You’re not a true fan of The Rock until you hear Alexa say Jabroni! 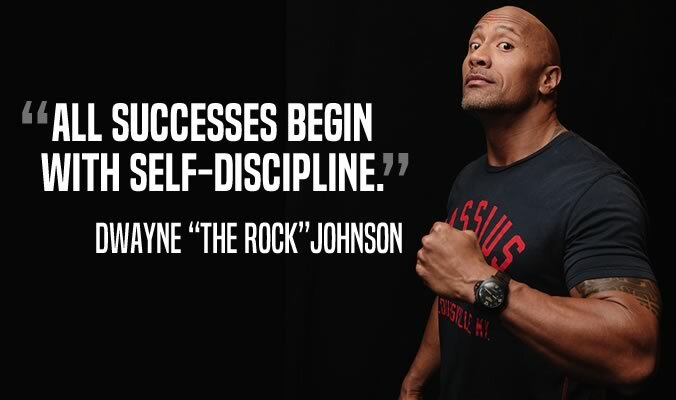 When I started the Rock’ing for 30 Days Challenge, I viewed it as a test of determination and discipline. I have no aspirations to look like The Rock, and one month isn’t very long when it comes to the physical results of eating and training. 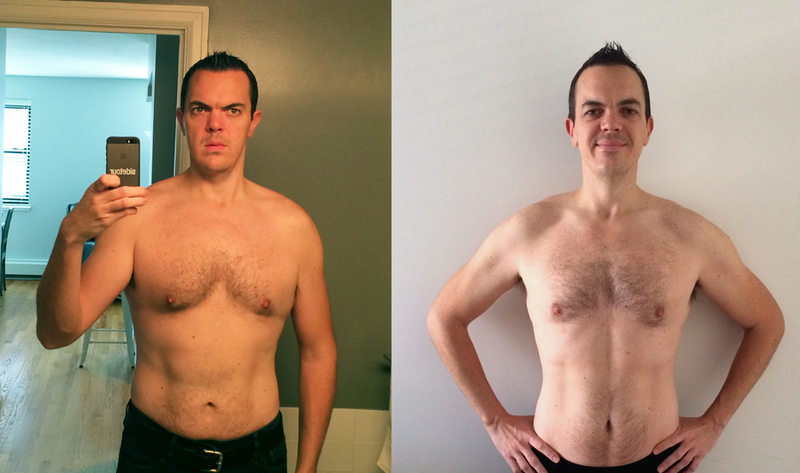 My diet and exercise journey over the last few years has been more about being healthy than aesthetics. Vanity is an ugly creature, and it’s wound up pretty tightly with working out. It’s easy to become obsessive with staring at your body in the mirror or fixating on a “problem area” when following a fitness program. The motivation for getting in shape all comes down to my daughter. I am trying to adopt the healthy habits and values I want to instill in her. (Plus, I want to be around a long time.) I don’t want her to view fitness as just being about her body and looks. I cringe whenever I see workout programs talking about “beach-ready bodies” or “fitting into a dress.” That’s not how she (or anyone) should think about being active. So I didn’t take many before photos, and certainly never planned to share any of them online. But this story has become quite popular over the last month, and I’m constantly asked about it. 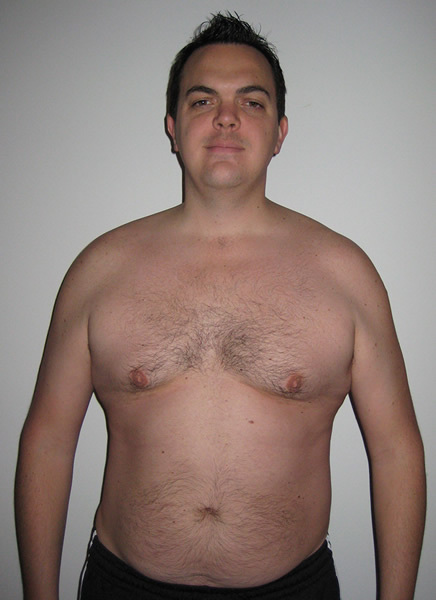 Shirtless selfies don’t seem like a great idea for a 37-year old dad. But against my better judgement, I’ve decided to share them. To both show the results of following a program like this, and to set expectations. Taken the day before the challenge (clearly looking worried), and the morning after (happy to have made it). I became leaner and stronger during this month, and put on some muscle mostly in my shoulders, chest, and upper legs. I’m 207lbs in the left photo, which was taken the night before I started, and 208lbs in the right, taken the morning after the last day. I’m proud of the hard work I put in. There is a noticeable difference in the photos (I don’t think I’ve ever had a line down the middle of my abs in my entire life). But it’s not an insane transformation. There are no overnight transformations when it comes to working out. In the spirit of respecting the length of the journey, I also am going to share a photo from several years ago. This is an embarrassing photo. Not only because it’s not flattering, and I look stoned for some reason, but also because I let myself get to this point. Taken several years ago, at my heaviest (251lbs). I’m 251lbs in this photo, the heaviest I’ve ever been. Getting to that point was a wakeup call for me, and I permanently changed the way I ate from that point on. I lost about 25lbs, settling around 225lbs. Then 6 months before my daughter was born (she just turned 2), I started working out several times a week and have been in the low 200’s ever since. So What Can Get Done in 30 Days? One month is a good time period to wrap your head around. It’s long enough to present a challenge, but short enough that it seems doable. By the time I got to the last week or so of this challenge, my routine had become second nature. I wasn’t dying to finish, and in fact, extended it three more days so the last week felt complete. If it weren’t for the cost and burden of food prep, I probably would have kept going. Thirty days can be a pathway towards making a productive change in your behavior. If you can stick to something for a month, you should be able to permanently adopt some of those routines. But it’s not a magic bullet. And the results will be positive, but not transformative. The journey is long, and should last a lifetime. It’s good to remember that. Perhaps some shirtless photos of someone’s dad on the Internet can help you keep that in perspective. The Rock Works Out First Thing in the Morning. Should You? The Rock’s early rising to hit the gym is no secret, with the big man often sharing a snapshot of his morning alarm with his 46 million followers on Instagram. His morning routine is to wake up early, throw back some coffee for his caffeine-fix, then do his cardio. This is followed by his first meal of the day, then hitting the weights (clangin’ and bangin’ in Rock-speak). He admits his workouts can get moved around based on his schedule, but for the most part, that’s the schedule he usually follows. Does It Matter When You Work Out? I’ve been getting a lot of emails and tweets asking about the specifics of the schedule, and whether it makes a difference when you decide to work out. Though there are numerous conflicting studies on the subject, there doesn’t seem to be a scientific consensus on different times of day leading to improved physiological effects from physical training. However, the New York Times recently helped shed some light on the value of scheduling your workouts in the morning. There were two main reasons why you might want to do this. The first is that our willpower weakens throughout the day. That makes sense. As the day goes on, we’re bombarded by other things demanding our attention. Staying disciplined in the face of those distractions can be daunting. But the second reason really resonated with me, and captured how I felt during this month. Starting your morning by tackling challenges head-on will help encourage similar behavior throughout the day. And, it turns out, there’s a wealth of research to back up this idea as well. 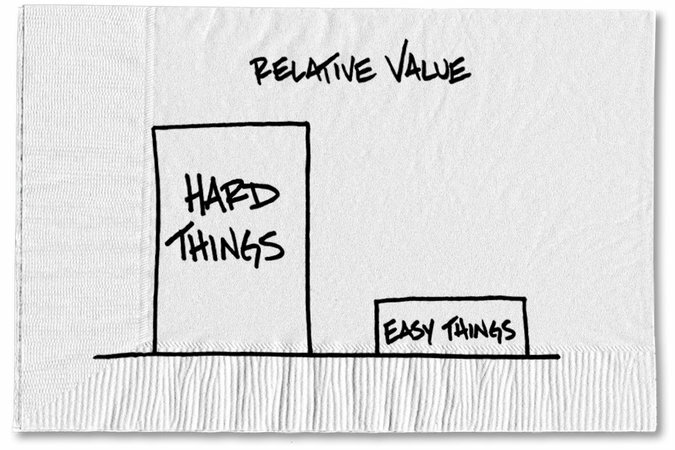 People who do hard things first tend to procrastinate less and get more done. Each of these workouts was physically and mentally exhausting. But the moment I finished them, I felt a sense of accomplishment, and that I was starting my day on the right foot. I also found it was then easier to stick to the meal plan throughout the day. With such a strong start, you’re inclined to continue that momentum. Even if you’re not a morning person, try the morning workouts for a week and see how it feels. You’ll likely be tired from the lack of sleep the first day or two, but your body will start to calibrate accordingly. Perhaps you’ll find it has a positive impact on the rest of your day. Or maybe it won’t. But then at least you’ll know for sure what works best for you. I get a lot of questions about eating like The Rock, so I put together this fancy graphic to show what he eats, the nutritional information behind the meal plan, and how much it costs. Enjoy. Feel free to share this on Facebook, Twitter, or your own blog. 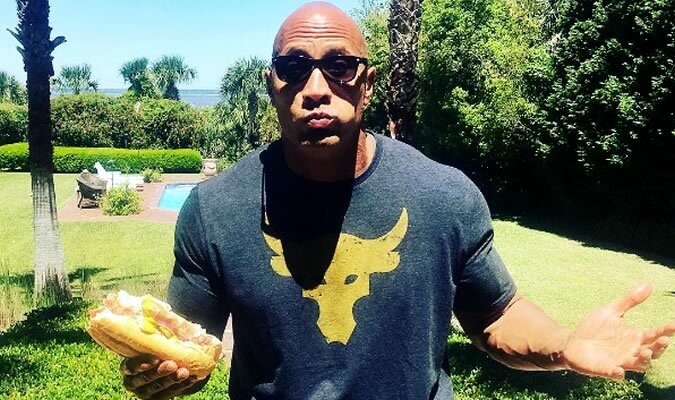 Throughout the Rock’ing for 30 Day Challenge, The Rock has responded several times on Twitter. I didn’t want to stop mid-week, so I ended up doing the challenge for 33 days. ESPN’s FiveThirtyEight shared some of the data behind this month, including the amount it cost. ESPN shared the FiveThirtyEight piece. In that article, I explained my motivation for doing this challenge in the first place. The Rock appreciated the effort. Overall, it’s been great to have The Rock respond. He has a reputation for paying attention to his fans, and from the looks of it, it’s well-deserved. This weekend was the first time in 33 days that I wasn’t eating and training like The Rock. During that time, I didn’t eat anything that wasn’t a part of his eating plan, and didn’t have a drop of booze. But for cheat day, everything was fair game. 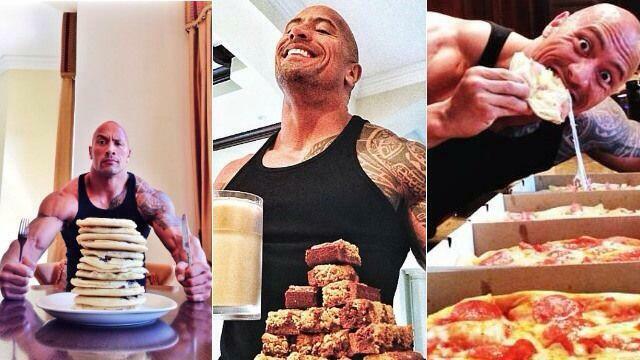 The Rock’s cheat meals are epic. After he ate clean for 150 days while preparing for Hercules (the plan I’ve followed), his cheat meal consisted of 12 pancakes, 4 double dough pizzas and 21 brownies. While I’ve shown I can eat and train like The Rock for a month, I don’t think I can cheat like he can. I decided to play it safe and not go overboard. But I was looking forward to visiting with some old friends, like an egg and cheese sandwich. Before the challenge, I was disciplined about what I ate during the week, but had whatever I wanted on weekends. My Saturday tradition is going to the deli with my daughter and ordering an egg, ham, and cheese sandwich. As a New Yorker this is, as required by law, one of my favorite foods. I look tired as hell in this photo. Look at those bags under my eyes. It didn’t last very long, as I wolfed it down quickly. I stared at the empty plate, with barely a dent in my hunger, debating whether I should keep eating. While my soul enjoyed that sandwich, my body was screaming for more. So I decided to make myself a bowl of oatmeal as well, and ate that almost as quickly. That did the job, and my first cheat meal was officially complete. As part of being reintroduced into the world of normal people, my wife, daughter, and I met up with some friends for lunch on Saturday afternoon. I had my first non-water or coffee liquid in over a month, indulging in a Pacifico beer then a mojito. To be honest, I was looking forward to have some drinks again, but they weren’t as satisfying as I thought they would be. I ended up missing alcohol less than I would have guessed. At this point, I could easily go much longer without drinking if it was part of some larger goal. Back at home we had some craft beers and red wine ready to be cracked open this weekend, but I didn’t feel like drinking them and they remained unopened. I’m becoming…lame. 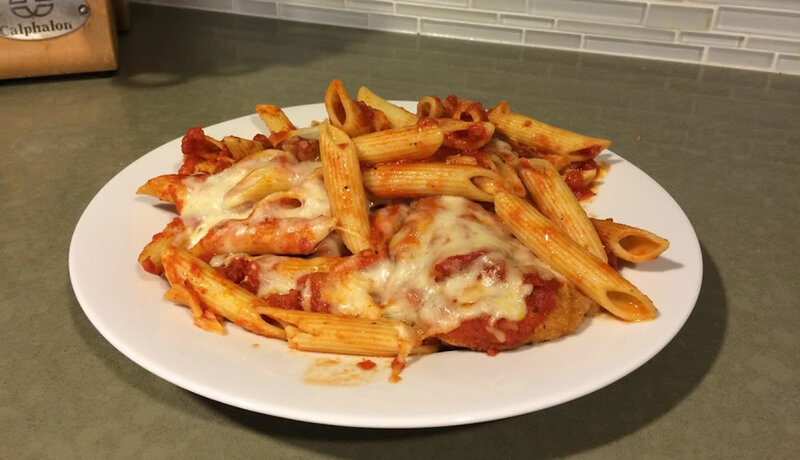 The booze might not have satisfied me, but this chicken parm dinner sure did. I thought that after eating clean, my stomach wouldn’t be happy with my cheat meals. Surprisingly, this wasn’t an issue at all. My stomach felt fine all weekend. However, I was extremely tired. Like, utterly exhausted. Throughout the challenge I was averaging about 6 hours of sleep a night and training 6 days a week. This weekend, I got roughly 9 hours of sleep on Friday and Saturday night, along with a 90-minute nap each day. And I could have easily slept more. I felt energetic during the challenge, but like pure molasses this weekend. Dropping my calorie consumption was no doubt the culprit here. I felt like I didn’t have much in the tank to work with. I’m actually looking forward to eating better starting during this next week. 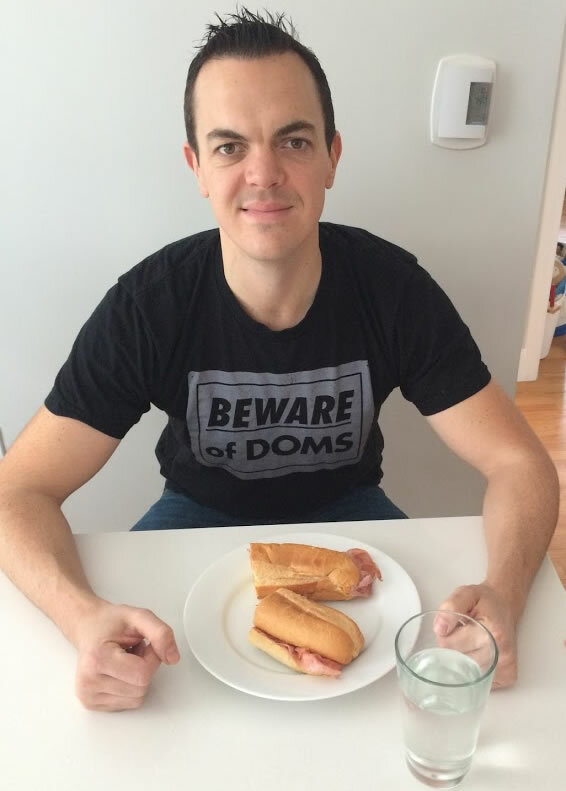 This week I’ll be trying a few tweaks to this eating and training plan, to see how I feel. The goal is to have a modified version of The Rock’s plan to start next week. If you want to get all the details of this plan when it’s ready, enter your email address at the top of the page to join the list.